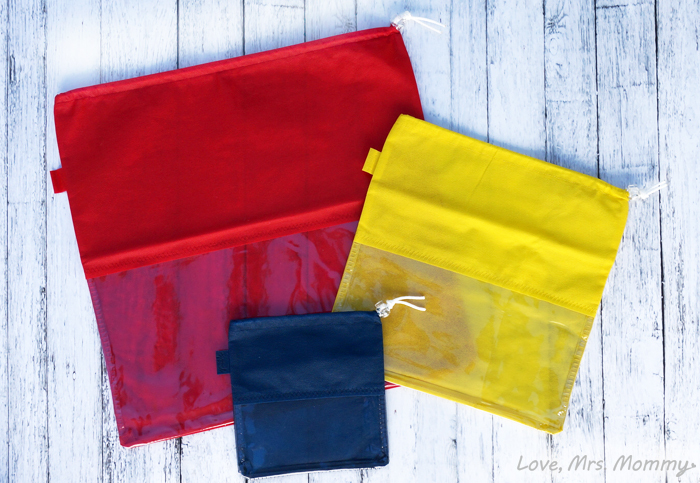 Love, Mrs. Mommy: Storing All My Daughter’s Essentials with Cute and Durable Peek Bags! Storing All My Daughter’s Essentials with Cute and Durable Peek Bags! I received an Assorted Peek Pack at no cost to facilitate this review. All opinions are my own. With a little one comes a lot of stuff! Whether they be large or small, these items seem to be scattered everywhere! We definitely needed to have more organization and storage options, especially in my daughter’s play area. 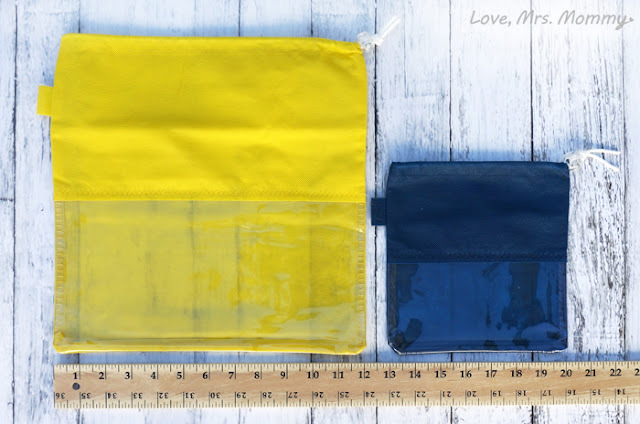 Thankfully, I have partnered with Peek Bags to tell you all about our new and very cute way to organize! You can either purchase these bags individually, in a set of 3 (either size small, medium, or large) set of 3, or as an Assorted Peek Pack. The latter gives you one of each size and that’s what I received. Which worked out perfectly for my needs. I am really impressed with how much can be stored in each bag. They are so much roomier than I expected and the quality is fantastic! They are more durable than your average baggie and way cuter too! With its easy to open and close drawstring, you can have easy access to whatever you might need inside without a lot of fuss. Using the large-sized bag, I was able to finally get rid of the bag that my daughter’s blocks came in. It was tearing apart and not holding her blocks well. Now, they are safely stored in a cute red bag with room to spare! The medium bag easily fit a few of her books and balls. They were constantly rolling all over our living room and I was afraid one of us would slip on them, eek! Not anymore! They are all stored away and ready for their next time of play… then back in they go! The small bag stores all of her favorite play jewelry. Now all her sparkly necklaces and bracelets are all together in one handy bag. My daughter loves her jewelry and we were losing her bracelets all over the house. I was finding them everywhere! Peek Bags has certainly helped us to stay organized in our house. Plus, they are great for taking on the road too! Stash a bunch of goodies in a large bag and you have a fun grab bag for a driving vacation! However, these bags are not only great for storing kids toys, but they are just what us adults are looking for too! I could definitely use them to store my art supplies, sewing accessories, loose batteries, and about a dozen other things! 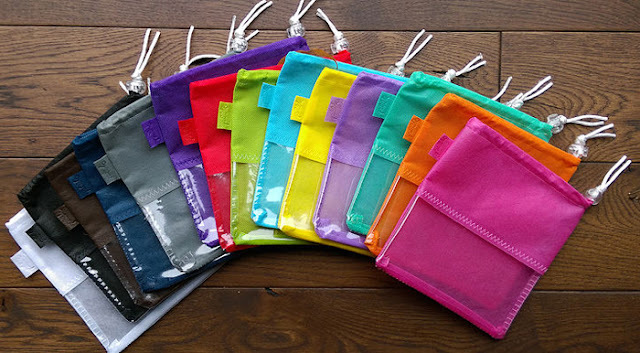 Let Peek Bags store all your essentials and more! Connect: Find out more about Peek Bags by visiting their website. Then make sure you “like” them on Facebook and follow them on Twitter. Buy It: Click here to purchase Peek Bags. Wow, these bags looks amazing to store things in plain sight but not so it looks messy. I would really be interested in purchasing some of these once my 6 month old gets into more and more toys and reading more often. I can see storing all her hair accessories or clips that she received in something like this. Great ideas! I think this is a neat idea. I do not have kids, but I have lots of things to store! I would use them to store different things in. I do tend to buy things that I do not need, as I have found out recently moving! I think they are neat for kids because they are colorful and kids like colors. They may have fun putting their toys in them too! Great idea! Having to carry several different items whenever taking a youngster anywhere, a bag that you can see into would make it easier to get at! Oooh I love these!! I love the peel feature and that they would help me get organized!! My son could really use it for toys and we could for sure use them for trips!! These bags wodul be perfect for traveling. I can think of many uses for these. Bags for jewelty and cosmetics. These are some great looking bags and I love the idea that you can see through on the bottom, making great storage for the little ones. I love these bags and I'm sure my son will too!!! These bags are pure genius and i will have to agree with you on way cuter than hundreds of ziplocs and the totes. So many tote bags that he can't tell whats on the bottom and then he dumps them all out, that sound we all dread haha. These bags are great and would definitely help out at my house. Thank you for the review, definitely going to pick up a few. Amazing. When you have to carry a lot and need to see what you're grabbing at, these are fantastic! These sound like a great idea--I could use these for containing some of my grandson's toys. These are so nice the kids could use these.Love that they can see what's in the bag. Sometimes the simplest ideas are the best and I think this is a really good idea! 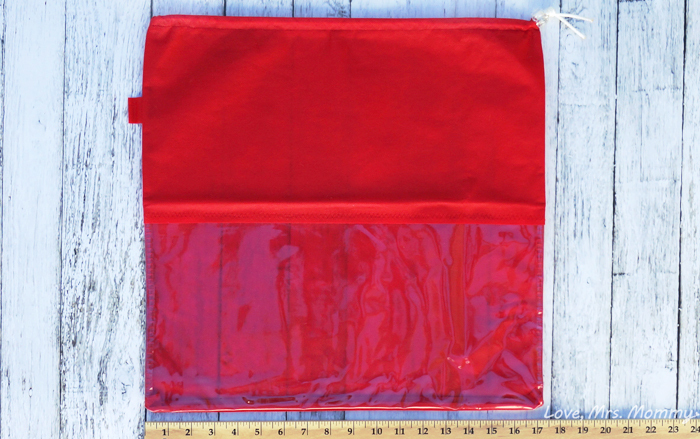 These bags look like they would be perfect for storing toys, or other objects around the house. These bags are so adorable ! These would be great for my boys! When we visit family they fill their backpacks with toys to keep them busy, but I think these bags would be better. Yes, no more ziploc baggies, wonderful green product. I don't have any little girls in my family, but I think my boys would also like these. They could be used to store hot wheels in. Then, you could actually see them and remember what is in the bag. I might even find some good uses for them myself. Thank you for sharing. These would really come handy. These would be perfect for traveling! These bags sound great, would be great for putting all sorts of toys, books, and many other great uses for these bags. 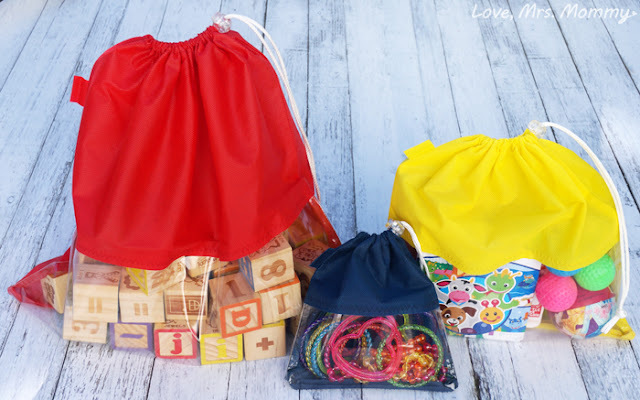 These bags are such a great idea for storing toys that have lots of small parts such as block sets, Shopkins,Lego Sets and doll clothes and accessories. You can see at a glance what they contain. these bags are awesome idea for storage. love the see thru bottoms. What a great idea. My great grand daughter is always losing small items so these would be great. Love all the colors. I love the different sizes and that you can see the contents it's perfect for children to carry toys or snacks in. I love that you don't have to dump the whole thing out to see if what you're looking for is in it! I envision children finding toys without dumping everything out! Such a great idea! The colors are fun and the concept is very practical. Great idea. Perfect for traveling.